Shell scripts are often a quick, dirty way to get the job done. You glue together external tools, maybe do a little error checking and process all data as strings. This is great for some very simple problems but as requirements change and more is demanded from the code shell scripts become unwieldy and fragile. When they get large, they become slow and difficult to maintain. If you need to write robust code then shell is not the way to go. 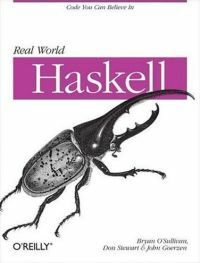 At the other extreme we have Haskell. Haskell is about as far from shell programming as you can get: its full of abstractions, its designed for robust error and exception handling, is strongly statically typed (you’d be shot if you represented all data as strings). Fortunately, it is also rather concise, like shell code. So it makes sense then for Haskell to be used in a number of “scripting” situations where robustness and correctness are important. For example, large, critical tools, such as the package management infrastructure in the Linspire linux distro, are written in Haskell. This article looks at how to use Haskell for scripting tasks. By refining the semantics of the problem domain, employing abstract, we produce shorter and more robust code. Finally, as a highlight, we’ll use type checking to statically separate code that requires root privileges from user code. I have a variable frequency cpu in my laptop. When the frequency is low the battery life is greatly extended, and the machine stays a lot cooler. At the highest level, my code runs a faster. There exist tools for all common operating systems to automatically scale up and down the clock based on load. However, I usually don’t care about scaling — I either explicitly want the clock all the way up, or all the way down. In particular, when I do benchmarking I want to keep the cpu clocked up all the way. First let’s look at how we’d typically do this in the shell. We’ll use these latter two sysctls to tweak the clock speed. Note that to set a sysctl value we need root privileges (via sudo). The script is short and does no error handling. Does it work? s <- run "sysctl hw.setperf"
s <- run "sysctl hw.cpuspeed"
We replace the regular expression with some list processing, failure is translated to unhandled exceptions, IO is interleaved with pure actions (like the math), just as in shell. One difference is that we explicitly treat strings as Integers and Doubles. Which does run quite a bit faster than bytecode (and faster than the sh code). This code uses the Process module, a small wrapper over System.Process. This is all very nice, but the code feels a bit icky. There’s something unsatisfying: we haven’t really captured the sysctl abstraction at all, so there’s no easy reuse of this code for other purposes. Neither have we looked at error handling, and finally, we’ve played fast and loose with sudo. In a larger application, we’d want to be far more careful about taking root privileges. The ‘get’ function retrieves a value from a mutable box. The set function writes a new value into one. The most convenient function is `modify’, a higher order function which takes a box, and a function modifying the contents, and applies that to the current contents, mutating the contents. It returns the old and new values of the box. We really should handle the possibility of ‘read’ failing. Currently, any error results in a call to the default ioError action in the IO monad. However, this being Haskell, we can implement our own error monad to provide custom error handling. This situation is exactly what the ErrorT monad transformer. was designed for. So how to use it? That is, for IO, throwError corresponds to a normal io error (which will throw an exception). If we’re in the Either monad, instead our result will be marked as an error (with no exception thrown). Urgh .. boilerplate! Note the common pattern: after each evaluation step: we perform a particular check, and then optionally propagate results further down. This kind of boilerplate can be abstracted perfectly with a monad (of course). If you recall from the dozens of other monad tutorials out there, a monad gives us a programmable ‘;’ (the semicolon statement terminator from the imperative world). With a custom monad we can specify precisely what happens at the end of each statement in our code. cpuperf: Shell failed: Failed parse: "hw.setperf=0n"
The error handling boilerplate is hidden by the error handling monad, inside the invisible, programmable ‘;’. One slightly icky thing at the moment is the use of sudo directly in the code to obtain root privileges. In larger software the use and abuse of root privileges can be a source of security problems. Some projects go to great length to precisely control the scope of code that has root privileges using privilege separation. This kind of property is the kind of thing we can lean on the type system for: to implement statically checked privilege separation. Yes! Another monad! It’s really just the Shell monad dressed as a new type, so we can distinguish the two in the type checker. Note how we lean heavily on GHC’s newtype deriving to automatically generate boilerplate code implementing the basic type classes for our type. Now the only way to get Priv status in your types is to actually run the code through ‘sudo’. So the type ‘Priv’ means ‘this code will be checked by sudo’. and we explicitly state in the type of ‘set’ that it runs in the Priv monad, not the normal Shell monad. which evaluates runs a fragment of Shell code in the Priv monad. So, if in doubt, embed the problem domain in the type system. -- Set a sysctl value. Runs in the Priv monad, and requires root privledges. -- Will prompt for a password. -- privledges from other code. -- To run something in the Priv monad, use 'priv'. -- propagates shell failures into errors. The entire program is packaged up by Cabal, and available online from Hackage, the central repository of new haskell code and libraries. So hitting ‘Access IBM’ now runs the cpu clock scaling Haskell program.